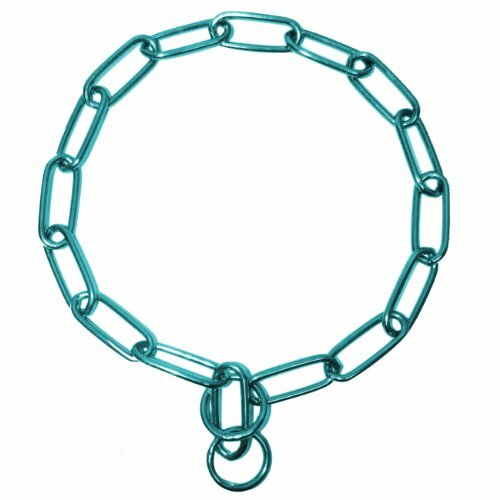 The Platinum Pets Fur Saver Chain Training Collar features argon welded chain links creating a heavy duty but lightweight chain for your pet during training. Each link is individually powder coated a multitude of colors to prevent rusting and chipping from wear and tear. The Fur Saver Collar is essential for everyday walks to prevent pulling without chafing your pet's skin or snagging fur. The collar is designed with smooth, rounded edges for superior comfort for your pet. If you have any questions about this product by Platinum Pets, contact us by completing and submitting the form below. If you are looking for a specif part number, please include it with your message.